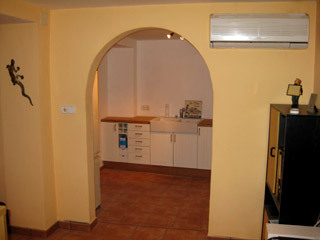 A superb opportunity to buy a property in the middle of the much sought-after "Tramuntana" area. 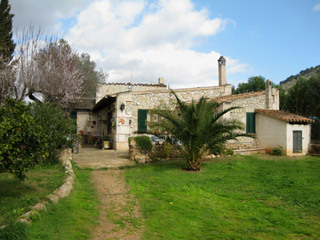 The house is detached and stands just outside the village of Alaro on a plot of almost 2,000 m². Accommodation comprises of the main house of approx 125 m² with 2 main bedrooms plus a guest bedroom, one bathroom with shower, kitchen /dining room and very large lounge (48 m²) with open fireplace. 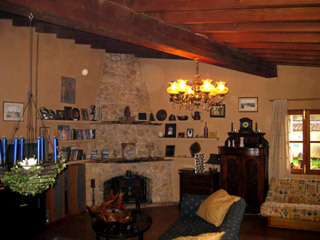 All rooms with open wooden beams. In addition to the main house, there is also an extra out-building (approx 60 m² and 95% completed), which could be used as an office or self-contained 2 bedroom apartment. 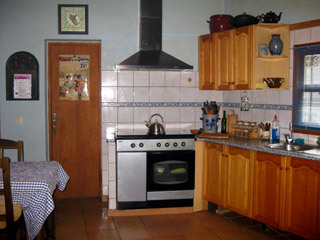 The house has full oil central heating, mains electricity. telephone (internet connection with broad band access), sat TV installation, gas cooker and mains water supply. There is a large terrace with a mature almond tree and a very beautiful old olive tree, both of which offer a shaded area for outdoor dining. Further trees include oranges, lemons, limes, figs, almonds, olives, bay, palm trees, etc. There is no pool but one can easily be installed due to the size of the land. The property is located in a quiet area but you reach the motorway in 5 minutes and the capital city of Palma is just a 20 minutes drive. All shopping and other facilities are just up the road in the very attractive village of Alaro. The house was built around 1989 and offers a lot of potential for expansion, modifications, etc. The village of Alaro has approx 3,000 inhabitants comprising mostly of very friendly local nationals and a small portion of European ex-pats. Shops and railway station within a 3 minutes drive. Beaches also within easy reach; 20 - 30 min drive depending on direction. 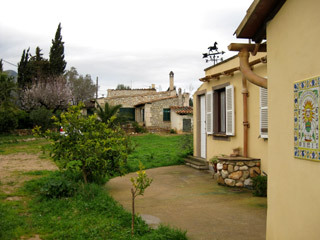 Alaro has a very historical past, being the first town on the island with electricity, long before Palma. The castell and former monastery at the top of the mountain are among the local monuments. The surrounding countryside has made the area a paradise for walkers, cyclists and nature lovers. The village itself boasts 2 supermarkets, banks, chemists plus many smaller shops. There is a sports field and public swimming pool, as well as many bars and excellent restaurants. On Saturdays there is a market in the main square selling fresh local produce and a wide variety of other goods. 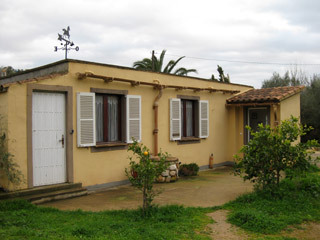 The property has mains water, telephone with broadband, Sat TV installation and 220v electricity. Although away from the commercial tourist areas, the capital city of Palma, a major hypermarket, and the new "Festival Park" (one of Europe's largest leisure, entertainment and multi-language cinema complexes), are all within a 15 to 20 minutes drive..